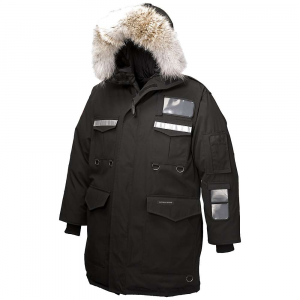 Rab Men's Apparel Clothing Positron Pro Jacket Graphene/Zinc Large QDN69GPL. 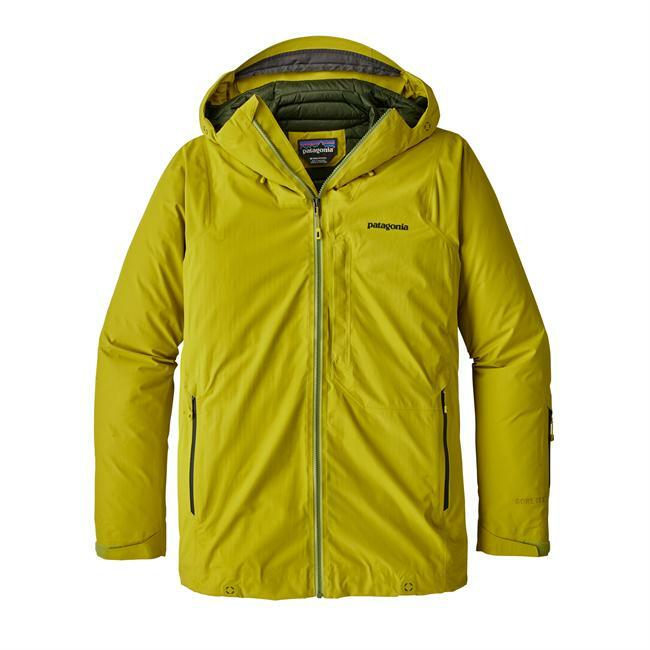 Designed for mountain and expedition use up to 6000m the Positron Pro Jacket uses a Pertex Quantum Pro shell to provide protection from the weather and is filled with the highest quality 800 fill power ethically-sourced down. Box-wall construction on the torso hood and upper of arms provides extra insulation on more exposed areas while stitch-through construction on the underarms and side panels allows increased mobility while reducing bulk weight and packsize. 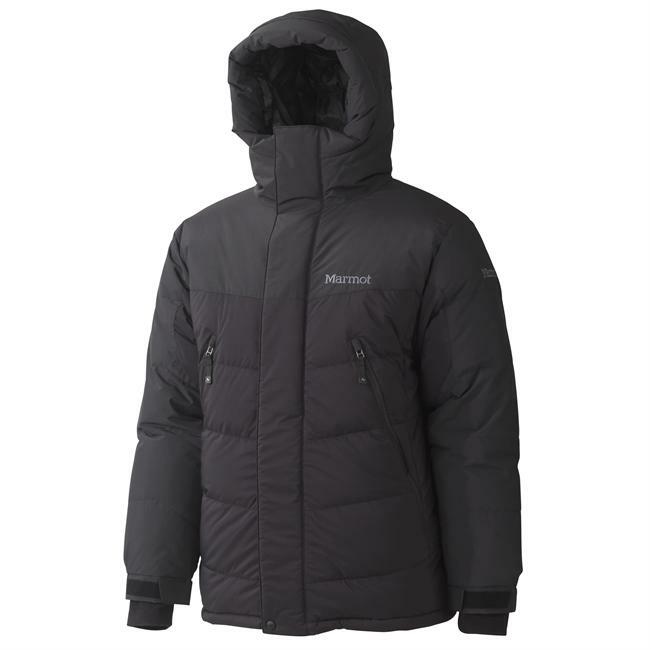 A two-way front zip with synthetic insulated baffle behind provides maximum warmth and helmet compatible down filled hood has wired peak and face baffle. Concealed hood adjusters are easy to use with gloved hands. The Positron Pro is optimised to offer the perfect balance of mobility comfort and protection in very cold conditions. 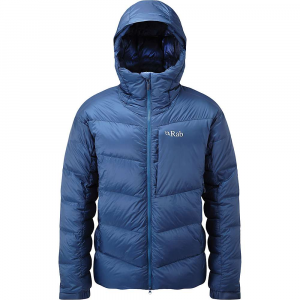 The Rab Men's Positron Down Jacket is a force field against freezing days. 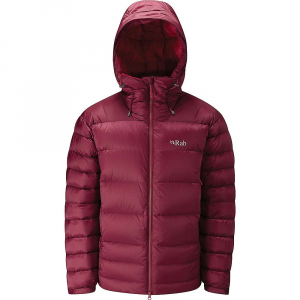 With 10 ounces of 800-fill Nikwax hyrophobic goose down and water-resistant Pertex Quantum Pro face fabric, this strong winter jacket is perfect for high-altitude adventures. 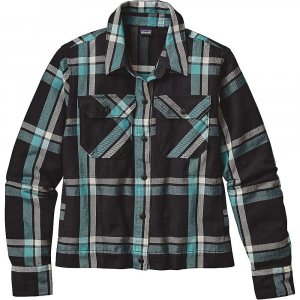 Sewn together with durable nylon lining and stitch-through sides and arms, the Positron is flexible and breathable for a comfortable fit on the groomers or in the backcountry. Normally, water is a down jacket's arch nemesis, but thanks to the hydrophobic down treatment in the Positron Down Jacket, it takes the stress away from cold and wet weather. To ensure that you stay as warm as possible, the torso and hood have boxwall baffles that keep the down in the right places without excessive stitching so your body heat never escapes. 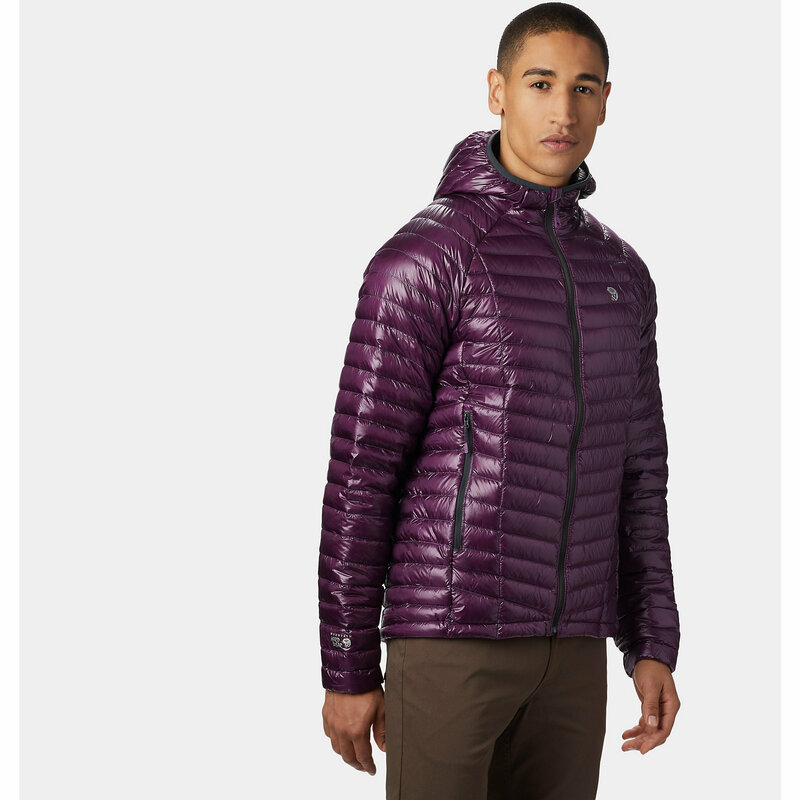 This jacket also has security and hand zip pockets for convenience on the go and a helmet-compatible hood for intense days on the mountains. The Rab Positron Pro men's down jacket boasts Pertex(R) fabrics for weather protection, and 800-fill-power European goose down and zoned construction for optimized warmth and mobility.